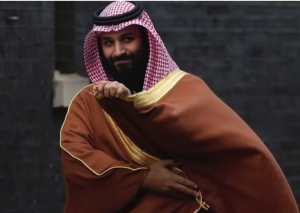 Ignatius’ Tale: Has the CIA Turned on MBS? Washington Post columnist David Ignatius gets a hard time for his CIA sources. In January 2017 he broke the story that Trump’s National Security Adviser Michael Flynn lied about his pre-inauguration contacts with the Russian ambassador. The story, attributed to a “senior U.S. government official,” proved to be accurate. Flynn lost his job. So Ignatius’ fascinating tale of intrigue, “The Khashoggi killing had roots in a cutthroat Saudi feud,” published Tuesday in the Post, is especially revelatory. Far from whitewashing the Saudi regime, Ignatius depicts the royal court as a cockpit of rage, corruption, and respectable gangsterism. If Ignatius’ reporting reflects the thinking of the CIA, his latest piece suggests the agency has turned on Crown Prince Mohammed bin Salman (MBS) in a significant way. There are other signs that this is happening. CIA director Gina Haspel is out of step with Defense Secretary James Mattis and Secretary of State Mike Pompeo on the subject of the crown prince. Her pointed exclusion from a closed door Capitol Hill briefing on Saudi Arabia on Wednesday underscored the agency’s outlier position. Ignatius’s well-sourced article adds detail to the reasons for discontent. Ignatius drops the trope of MBS as an “autocratic young leader in a hurry” in favor of diverse sources who depict the prince as vicious, violent, and deceptive. One of those sources, it seems clear, is former CIA director John Brennan, who served as the agency’s station chief in Riyadh in the 1990s. The crime spree that followed included an attempt to deceive China’s Ministry of State Security to detain one of MBS’ rivals on bogus terrorism charges. When the ruse failed, MBS organized his own kidnapping operation. Qahtani is Saud al-Qahtani, an MBS associate whom Ignatius describes as “a lawyer and former Air Force member with a penchant for hacking and social media.” Ignatius’ story confirms that the crown prince’s operating style reeks of improvisational and brutal amateurism. In the context of this history, the operation to liquidate Washington Post journalist Jamal Khashoggi, a royal insider turned critic, appears to be standard operating procedure for MBS. The conflict in Washington is subterranean but profound. The CIA, it seems, wants to wash its hands of the crown prince. President Trump, obviously, does not. Where does this end? So now the White House, the Pentagon and the State Department are sticking with MBS, despite his crimes, for the sake of oil and arms deals. The Congress, CIA and Treasury Department are backing away from their one-time ally in the name of rule of law, stopping the war in Yemen, and protecting their own reputations. The much-vaunted U.S.-Saudi relationship is falling apart. As Ignatius shows, it is falling apart for very good reasons. So will Trump enablers in the Senate really hit the Saudi kingdom where it hurts (limit military sales, publicly chastise MsB), or will they pay lip service to it but still make Saudi cash the top priority. I’m betting the latter.